Assistive living technology, also known as telecare and telehealth, promotes the use of devices such as panic buttons, falls detectors and much more. 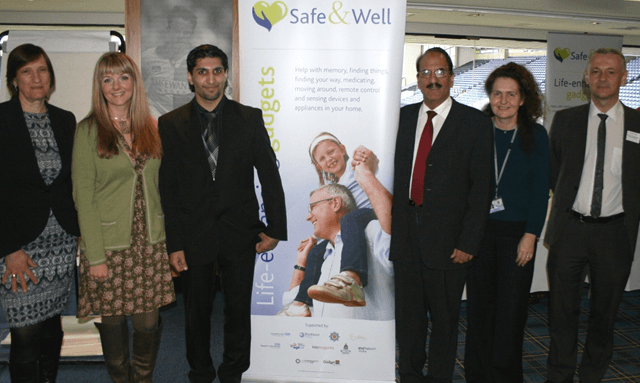 The event brought together manufacturers, local social care staff from organisations such as Blackburn with Darwen Council, Care Network and Age UK as well as gathering together residents who use the technology. It was facilitated by Professor Arlene Astell of Sheffield University and Dr Maggie Ellis of St Andrew’s University, who have many years of experience within the assistive living technology field. On the day there were interactive sessions which saw different devices being displayed and groups discussing their pros and cons. This was with the intention of shaping the local service to best meet the needs of those using it. Examples of technology being discussed on the day included a memory book designed to give people suffering from dementia a step-by-step guide to performing tasks around the house, like preparing food, as well as a special doorbell which alerts people with hearing disabilities to callers at their homes. A marketplace at the event brought together leading assistive technology companies also showcasing their latest equipment, and how it’s used. Those present included: BES Healthcare, Tunstall, Tyntec, Community Gateway and Telemagenta. There was also a Q+A session with management from the Council’s Adult Social Care team.